Armune BioScience trusts Imbue to care for, elevate, and maintain its brand image. 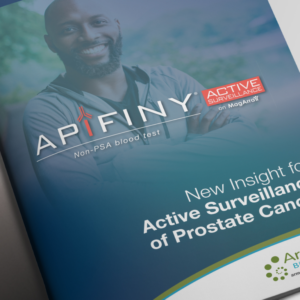 As a company that develops and commercializes blood tests that leverage the warning signals produced by the body’s immune system in response to the onset of cancer, there are challenges of reaching a variety of audiences with consistent messaging. Imbue’s first challenge was to define the core messaging for the brand, and then to plan, rewrite, design, and develop a mobile-responsive website for Armune. Keyword research was also done for optimal search engine exposure. The result was an optimized website with a clear structure, an engaging user experience, and brand cohesiveness. From there, Imbue went on to design additional collateral pieces, including a patient and physician brochure, sales aids, case studies, patient profiles, and other illustrations and designs that help Armune clearly and effectively communicate its mission and the benefits of its first product. Our designers also created a trade show booth design based on the core messaging and brand identity established in their other pieces. Imbue also provides Armune with monthly social media strategy and maintenance, including scheduling, posting, live interaction, and analytics.